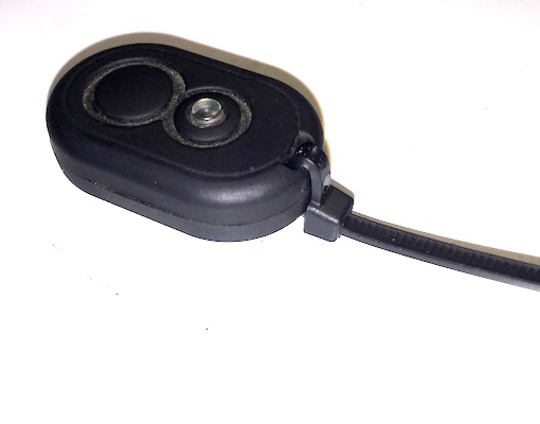 The Loc8tor is a device designed to help you track and find lost items, provided that you had the foresight to attach a tracking tag to it, which is kind of the point of this post. My experience is with the “Lite” version, which relies entirely in RF beacon location tecnhnology to reunite you with your RC model. Before we start… How good is the Loc8tor? So far, I haven’t had the chance to test it in really adverse conditions – say, a corn field or a dense forest. Rather, I’ve used it to semi-jokingly track mini 250 racing quads in a field with 2 feet tall tumbleweeds. For the curious, on these conditions, the Loc8tor was able to detect and track the quads at around 100’ to 150’. I can see how this might be helpful, but it’s not the definitive solution to rescue all downed RC models ever. 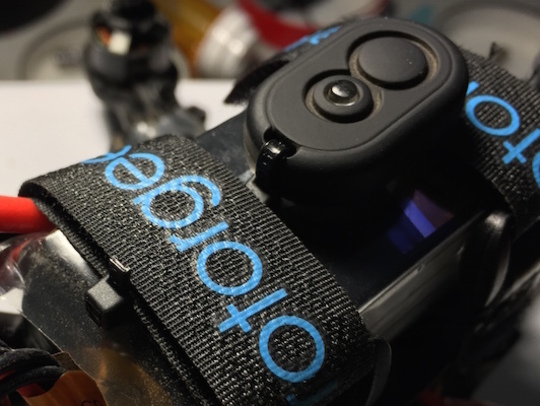 Without trying to make this post a review, I think the Loc8tor might be a nice-to-have gadget. 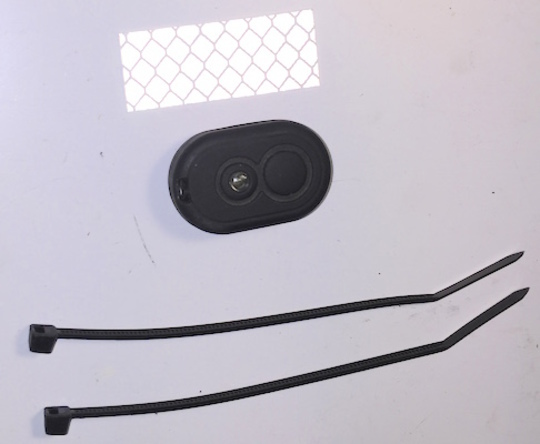 The Loc8tor comes with two tags. You need to attach one tag to your RC model in order to track them. This is all fine and dandy until suddenly, you realize that you have more quads than tracking tags. Instead of spending more to get more tags – and hit the 4-tag limit – I decided to change the way I attached my tags. Instead of using zip ties, velcro or epoxy to attach the tags to each frame, I used two zip ties to create a simple hook that would be held by the battery straps. This design makes it super easy to place the tag on each of my quads and keeps the tag securely in place through out all the flips and rolls I’ve been able to throw at my quads. Start by cleaning up your tag and getting two small zip ties that will thread through the small mounting hole in the tag. I also applied a small piece of white reflective tape to the back of the tag to make it easier to spot in case it got detached in a bad crash, just as I do with my flight cameras. Put a zip tie through the mounting hole and tighten it up as shown. Do not cut it yet. Then, put the second zip tie on the first one. You’ll end up with an L-shaped strap. Move the second zip tie closer to the tag, making sure you leave enough room for the widest battery straps you use. Then, cut the first zip tie to remove excess material. Cut the second zip tie to perhaps ¼” and you’re done. 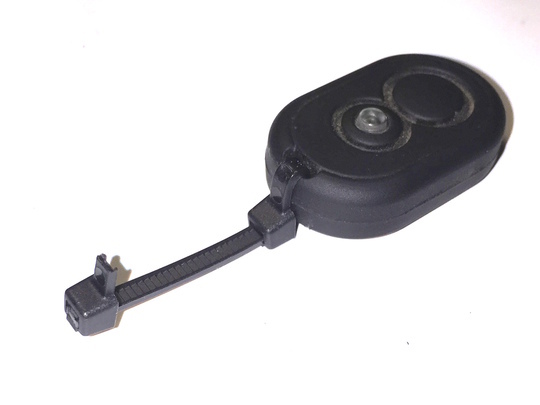 To mount your Loc8tor tag, simply put the zip-tie mount between the battery and its strap, then tighten it as you normally would. That’s all there’s to it.